As the delegates to the World Congress of Accountants 2010 (WCOA 2010) start to arrive in Kuala Lumpur, a number of events are organised at the side of the congress. The Confederation of Asian and Pacific Accountants (CAPA) had their Board meeting today and will be organising a members forum tomorrow. 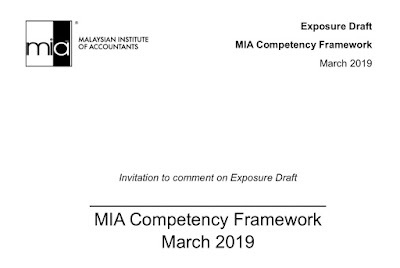 The Malaysian Institute of Accountants (MIA) organised a cocktail reception for the members of CAPA Board together with leaders and staff of the International Federation of Accountants (IFAC). This cocktail was held at the 22 Floor of the Ascot, which is located within the proximity of the Kuala Lumpur Convention Centre, the venue of the WCOA 2010. Welcoming the guests on behalf of MIA was Christina Foo, the Vice-President of MIA. In Ki Joo, CAPA President, welcoming the guests observed by Christina Foo.